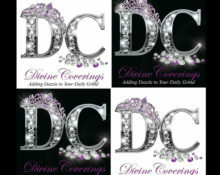 Business Startup: Melody Johnson, Owner of Divine Covering, LLC, creates keepsake bridal bouquets; ‘grinders on the go’, which are ‘bedazzeled’ water bottles; and desk dazzle, which are ‘blinged out’ office supplies. Melody worked with Derek Simmonds, CEDA’s Business Development Specialist, on business plan assistance and business operation advice. She took third place in Onondaga SBDC’s 2018 “Cayuga Pitch” competition, held at our offices at 2 State Street. “The Pitch” is an annual, four-week educational series for entrepreneurs concluding with a “pitch” to local business owners and professional service providers. Top participants are awarded cash prizes to further grow their businesses. 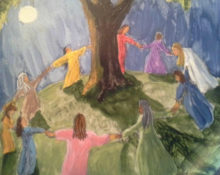 Business Startup: Soul Sisters Whispering is a cooperative enterprise of non-traditional healers. Practitioners use herbal and energy remedies such as Reiki, essential oils, and crystals to heal the body and lift the spirit. The business owners came to CEDA for business plan assistance and startup advice. They also participated in The Pitch event, sponsored by CEDA, SCORE and the Onondaga SBDC. 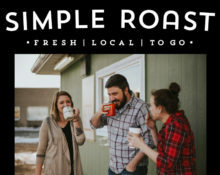 Business Startup: After a few years of selling his locally roasted fair trade organic coffee in farmer’s markets, Matt Peirson seized the opportunity to open a drive-thru location on Grant Ave in Auburn, NY, to start brewing and selling his coffee. Business Expansion: Shortly after opening, Pierson’s kiosk grew in popularity, and he saw the need for a second location. As of February 2019, work is nearly finished on the second kiosk located in Auburn’s west end at 321 W. Genesee Street. 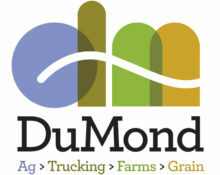 Business Expansion: Du Mond Grain, a subsidiary of the 5,000-acre farming operation Du Mond Ag, LLC, will expand into the soymeal market by building a non-solvent soybean processing plant, bringing locally-grown product from seed to feed for livestock. The project will construct and equip a new facility, with soymeal extruding and oil pressing equipment, silos for storage, and a barn. This business expansion will allow NY soybean farmers to have their soybeans processed in NY State and NY livestock farmers (primarily dairy and swine) to buy NY grown and extruded non-solvent soymeal for their livestock. CEDA assisted with the development of the business plan for their new operation and provided guidance with the Consolidated Funding Application process. CEDA continues to connect DuMond Grain with other development opportunities and will assist with local incentives as the project progresses. 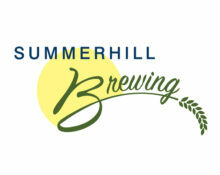 Business Startup: Summerhill Brewing, a microbrewery started as an experiment in a garage, is now building a facility to house a larger brew system and tasting room. Owners Jeff & Sallee TenEyck attended SCORE’s “Simple Steps to Starting Your Business” workshop series at 2 State Street to help get their project off the ground. Throughout, they have worked with CEDA for assistance on their business plan, and CEDA continues to connect them with local resources for financing and benefits. 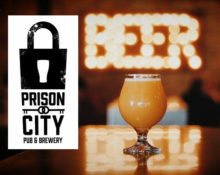 Business Expansion & Location: Prison City Brewing is looking to purchase and renovate an existing building or construct a new, additional brewery space. The brewery will then utilize this as additional brewery space to increase production from 900 BBLS to 10,000 BBLS annually. The location will also include a tasting room, retail area, event space, and a canning line. CEDA assisted owners Dawn and Marc Schulz with CDBG loan applications through the City of Auburn and Cayuga County, location identification, and the NYS Consolidated Funding Application. Our specialists also provided referrals and business-to-business connections to help with this project. Business Expansion: Auburn Hotel Ventures, LLC is renovating all guest rooms, conference rooms, lobby, restaurant/dining areas, and common spaces in the Holiday Inn. The renovation project will completely update the facility, ensuring the long-term flag of Holiday Inn for this facility. CEDA assisted Auburn Hotel Ventures with the process to incentivize this project through the Auburn Industrial Development Authority. AIDA awarded the project a Sales & Use Tax Exemption. 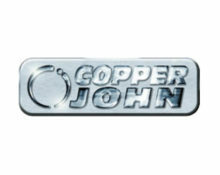 Business Expansion: Copper John Corporation, a manufacturer of archery accessories, will purchase new production equipment and reconfigure its existing manufacturing facility in Auburn. This will allow them to expand production capability and capacity, insource production currently outsourced to China and other domestic locations; improve response time to meet market demand; expand into new product categories; and enhance sales and marketing capability in the US, Europe, and Asia. Copper John worked closely with the team at CEDA to complete the Consolidated Funding Application to the CNYREDC. Copper John was awarded an allotment of energy through the New York Power Authority, along with a $280k grant through ESD and tax credits through the Excelsior Jobs Program. 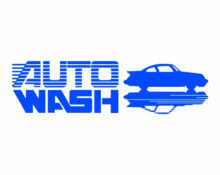 Business Location: Auto Wash Car Wash has opened their 5th location in Auburn. They have turned an uninhabited parcel of land containing a single-family home in severe disrepair into a new commercial building that compliments the neighboring businesses and will create 6 new jobs. Their other locations include Batavia, Canandaigua, Geneva, and Tonawanda. CEDA assisted Auto Wash with the process to incentivize this project through the Auburn Industrial Development Authority. AIDA awarded the project a Sales & Use Tax Exemption. 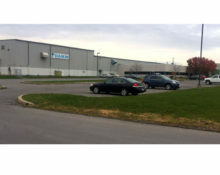 Business Location: Tessy Plastics purchased the former Daikin McQuay property in December 2016 to consolidate their warehousing. In the summer of 2016, Tessy began a $31M expansion in Van Buren, NY. Once that development is completed, and with the growth history of Tessy Plastics, the Auburn facility will likely be the next location to expand their manufacturing operations.